Our Kenya safari begins in Nairobi, where we transfer to our boutique hotel located in the quiet residential suburb of Karen on the outskirts of the city. This area at the foot of the Ngong Hills is named for Danish author Karen Blixen, also known by her pen name Isak Dinesen, who wrote the famous memoir Out of Africa, chronicling her life on a Kenyan coffee plantation in the early 20th century. This evening, enjoy a welcome dinner with our safari Expedition Leader, and a preview of the adventures that lie ahead. Transfer to the airport for our flight to the Maasai Mara. 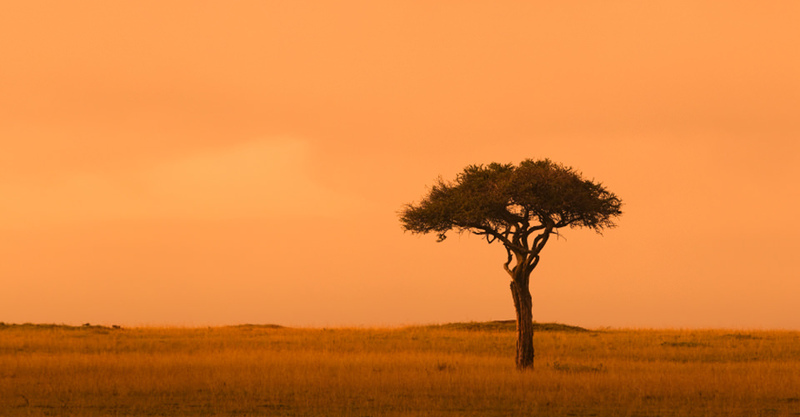 Our first safari destination is a vast private conservancy offering unparalleled access to wildlife viewing. Nat Hab's own mobile camp offers bush luxury in classic canvas tents, surrounded by all the natural wonders of the Maasai Mara ecosystem without the crowds. 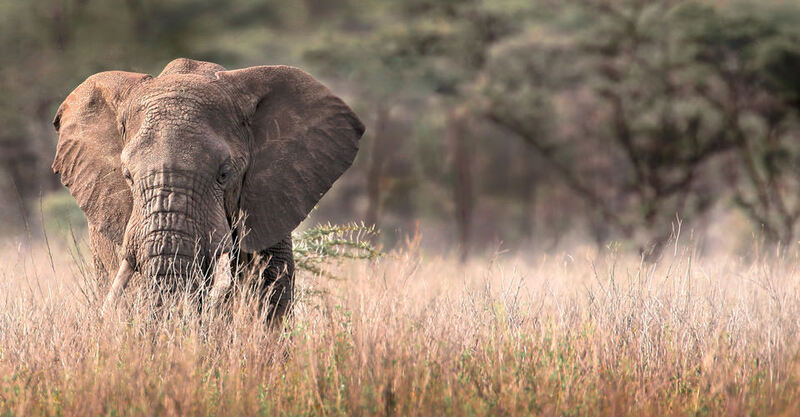 The conservancy model has been a boon to the region's legendary wildlife, creating buffer zones and protecting migration corridors while providing economic benefits to local landowners through responsible safari tourism. From this private reserve, we experience the Mara’s spectacular wildlife in peaceful seclusion, and our camp is one of just a handful of located within its bounds. Strict limits on guest numbers mean unprecedented wildlife viewing without crowds, especially of the wildebeest migration that occurs in close proximity. 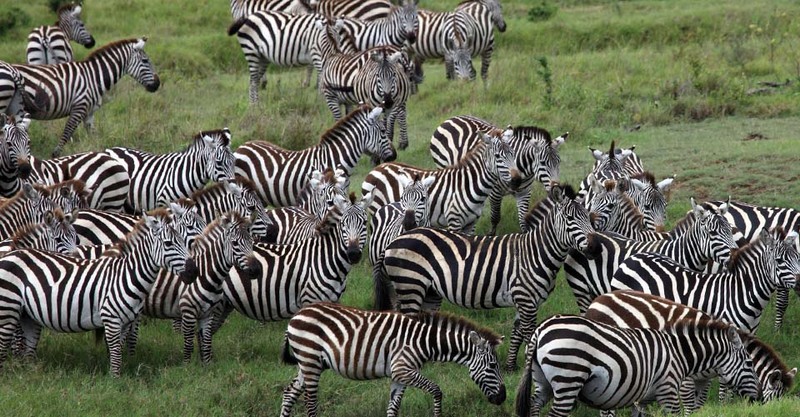 The conservancy serves as a migration corridor for several hundred thousand animals between the Maasai Mara National Reserve and the Loita Plains to the east. A multitude of species flourishes here: Great herds of antelope dot the grassy, rolling plains while stands of acacia woodland shelter prolific birdlife. 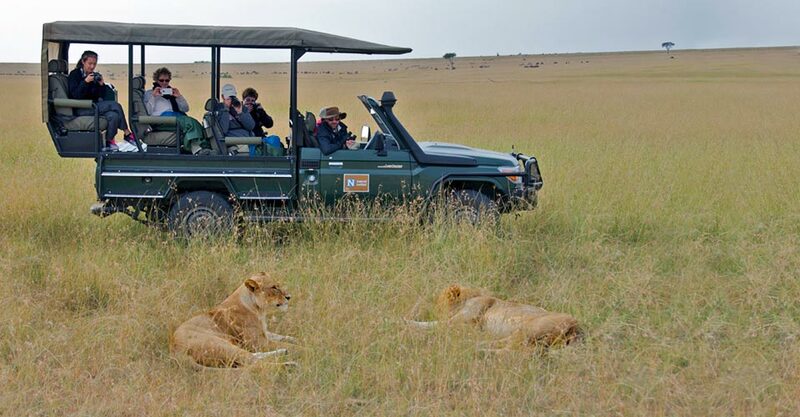 Rich volcanic soils nurture a verdant landscape where we find more lions per square mile than anywhere else in Kenya. Impressive herds of elephant, giraffe and zebra are also at home here. Our activities make the most of our unrivaled access to pristine wilderness. In addition to daily wildlife drives, enjoy guided walks, bush picnics, off-road safaris and night drives in search of nocturnal wildlife—pursuits not permitted in the national reserve. 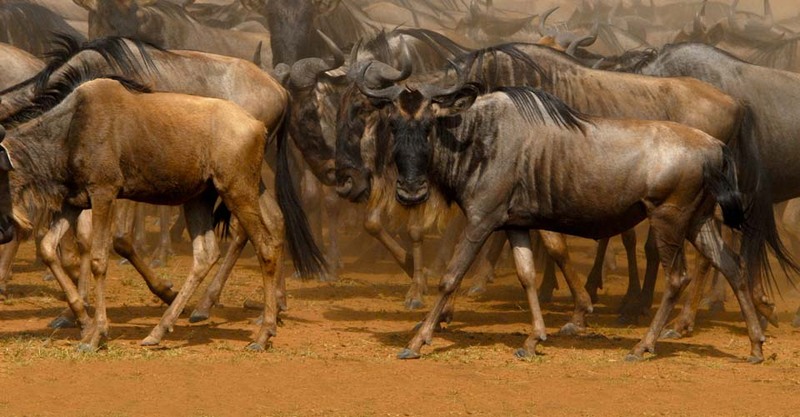 Transfer via a safari drive into the Maasai Mara National Reserve for another exhilarating vantage point on the heart of the annual wildebeest migration. The legendary Mara is the northern portion of the Serengeti Plains, and we find excellent wildlife viewing in these grasslands. The reserve is named for the Maasai tribespeople, the traditional inhabitants of the area who still graze cattle here, and the Mara River that runs through it. We stay at Nat Hab's Migration Base Camp–Maasai Mara, our private luxury mobile camp that allows access to an exclusive campsite near the Mara River where wildebeest cross during the migration. Deluxe canvas tents are situated in a private and secluded spot, with ample trees providing shade from the midday heat. Located in a wildlife hotspot, the site also provides easy access to the rest of the reserve, including the main river systems. Wildlife drives take us among myriad plains animals—not only the thundering herds of thousands of wildebeest and their zebra companions, but also gazelle, impala, hartebeest, topi and giraffe. 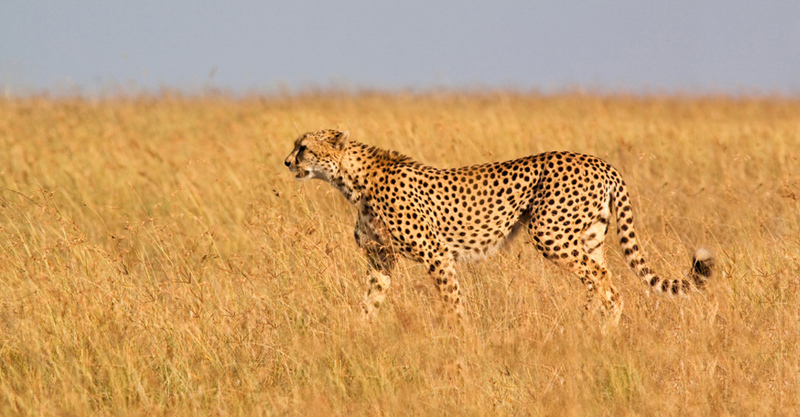 Predators follow in close pursuit, and the Mara is especially famed for its lions—we may see them hunting in the early morning or evening, or resting beneath acacia trees in the heat of the day. Hyenas also patrol the plains in some of the largest numbers in Africa. Optional hot air balloon safaris with a champagne breakfast upon landing are also available (additional cost) during our stay at Nat Hab's Migration Base Camp. Fly back to Nairobi today, where day rooms await for refreshing and relaxing on arrival. Later, we'll have a farewell meal together to close our Kenya safari tour before evening departures for international destinations.